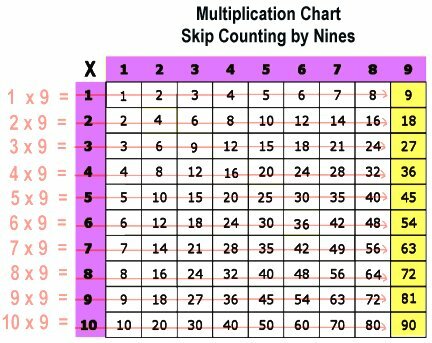 Skip counting nines may seem difficult at first. 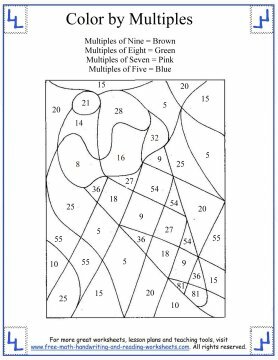 As the numbers we use get larger, it is easy to get overwhelmed, but honestly, once you get past eight, nine through twelve are easier--many of the multiplication problems have been covered in other units already--so there's not a lot of new material to learn. 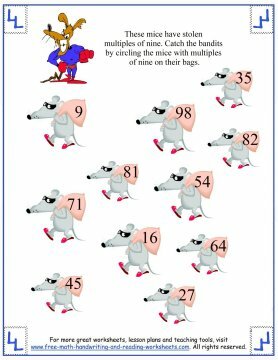 There is a little trick your child can use to remember the multiples of nine. The trick is that whatever the answer is, it will always add up to nine. 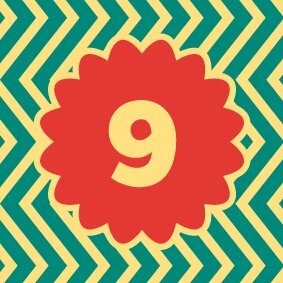 An easier way is to drop a digit from whatever factor nine is paired with and then add it up to nine. In the example above, nine is paired with a factor of seven. Drop a digit, you now have the number 6. Six plus 3 equals nine so the answer is 63. Let's try another one. In this example, nine is paired with five. Drop down to 4. Four plus 5 equals nine. The answer is 45. It may seem tricky at first, but once your child gets this quick method down, he or she will be the fastest kid in class! It's not entirely useful for larger numbers, but it is a good way to check your work. 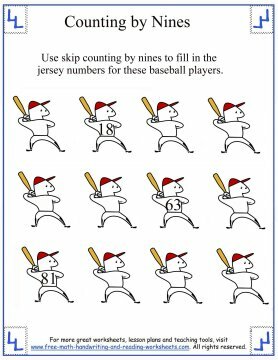 In the first worksheet, skip count by nines to fill in the missing numbers on the baseball jerseys. The second worksheet will put your child's adding skills to the test. Remember how we added answers together to see if they equaled nine? She'll need to do that in order to circle the mice with multiples of nines on their money sacks. The final worksheet is a bit of a review. It's a color-by-multiples worksheet. Use the legend at the top to determine which color should be used in each box. If done correctly, your child should color an ice cream cone.